How does Metro’s customer relations team answer queries and complaints? 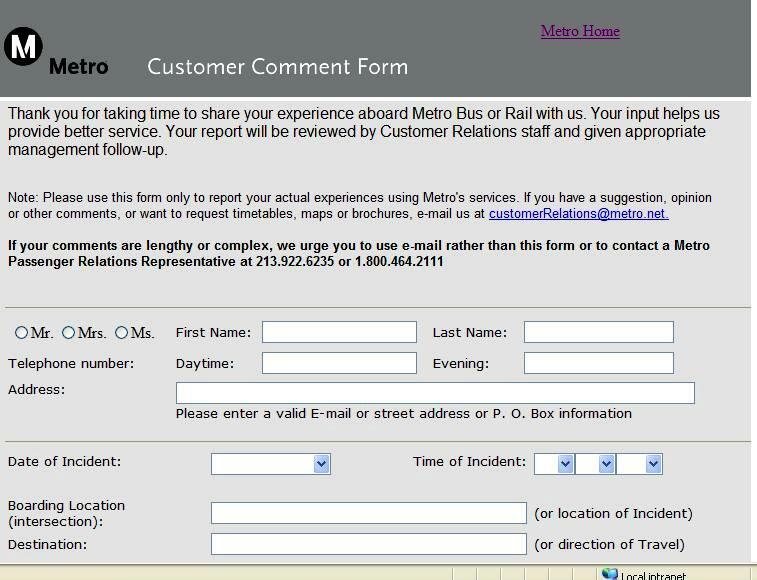 In a very real sense, complaints are the reason for being for Metro’s customer relations team. All day, every day they work with confused or unhappy riders who look to them for relief. Their job is customer satisfaction and it can be a challenge. And yet, customer relations reps report that most people — probably 75 percent — are courteous even when reporting a problem, which certainly speaks well for Metro patrons, as well as for the representatives who undergo extensive customer service training to help them learn how to help the public in a positive way. The customer relations section was designed to be an easy access point for Metro patrons, the general public, elected officials and residents to present complaints, inquiries and concerns to Metro management. Reps also are responsible for making friends for Metro, even following a less than pleasant transit experience. They are there to provide customer education, when necessary. 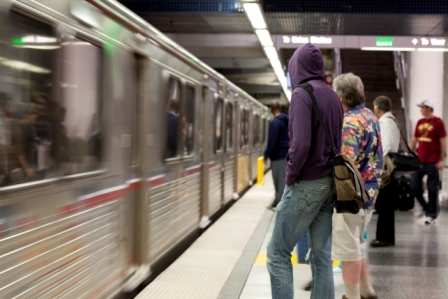 And they provide Metro management with timely reports that reflect the transit system as viewed by the customer. It’s not all negative interaction. The team of seven representatives receives between 7,000 and 8,000 pieces of correspondence a month and many are questions, comments or suggestions for how to make Metro more user friendly. Comments arrive and are answered in English and Spanish by telephone (about 4,200 calls per month); via on-line comment cards (about 450); through email (about 860); in letters (about 80) and from walk-in customers (about 2,100 comments). Comments are acknowledged, if not answered, generally within seven working days. No fancy tools are involved. It’s pretty much person-to-person contact, with the customer relations representatives acting as problem solvers. In addition to knowledge about a wide range of bus- and rail-line facts, representatives are trained to be patient, polite and to listen carefully. It’s not possible to change the experience of a late bus but it certainly is possible to offer sympathy, apologize and pass on a complaint to the appropriate authorities. Many on the customer relations team ride mass transit themselves so they understand the frustration of a missed connection. Likewise, they pass on compliments about operators who have gone out of their way to be helpful or new programs that customers feel are beneficial. Customer feedback is taken seriously. Most Metro bus routes and schedules are the product of customer comment. Bus stops are placed or moved based on customer requests. The addition of bike racks to buses was due to customer appeals. Many articles in the rule book followed by bus and train operators are based on customer input. It can be a highly stressful occupation and can lead to early burnout. To help avoid burnout, job candidates are carefully screened. A candidate must be articulate and possess good listening and writing skills and have empathy for the plight of others. Maturity is considered an important characteristic. Possible candidates have a desire to help people, have a thick skin and above all, approach the job with a high level of professionalism. Training plays an important role in developing coping skills. Although the job is demanding, the customer relations representative with the highest seniority has been working in that position for 15 years. Have a question or comment for Metro? The quickest way to contact customer relations is via email. The waiting time for a reply will vary, depending upon the complexity of the problem being investigated. But hopefully, all of your problems will be minor. does bus driver alloweed to let passenger going into the passenger on the back door without paying anything? i seen this many times and sometimes passenger sneaks to the back door. i’m taking about the big buses. I don’t know why they make buying TAP cards so confusing. Buying TAP online is a mess. I have to actually buy a pass on top of a TAP card. I just want the TAP card for $2 only so I can load up cash value onto it later. But taptogo.net doesn’t let me do that. When one wants to buy a TAP card on taptogo.net, they require you to buy a pass onto it at the same time, they can’t let you buy just a TAP card by itself. What kind of stupid restriction is this? Then I called TAP customer service after being on hold for 20 minutes (this is I why I hate calling, it’s such a waste of my time), the rep said that couldn’t be done and the only way I can buy a TAP card by itself was to visit one of the stores. Gee thanks, maybe write that down on the taptogo.net website so I didn’t have to waste 20 minutes of my life being on hold? After that, I went to one of the stores that sells TAP cards, but then the person who sells TAP cards said the same thing; we can’t sell you a just a TAP card by itself and that I have to load up some kind of pass onto it. I said I don’t need passes and all I wanted is cash value loaded up. She said that’s not possible and that “you have to buy a pass even if you don’t need it. It’s just the way things are with this.” I walked out of that store, total waste of my time. I finally was able to get just the TAP card, by taking time off work and visiting the Culver City Bus Office. That’s right, in order to just buy the $2 TAP by itself, I actually had to take a vacation day off work and visit the Culver City Bus office at their office hours on a weekday just so I can buy this $2 TAP card. What year is this, 1950? Why can’t I just buy a TAP card by itself online? This is ridiculous! Why can’t they make it so easy to do? When I go to Asia, all I do is visit the booth, pay for the card, then charge up my transit cards with the amount I want and I go in and out of like a local. When I’m done, I can return my card and retrieve my remaining funds. Metro, please simplify TAP. What you’re doing is only making things more confusing. No wonder people don’t use TAP; it’s so much of a headache just to get the darn card! Law enforcement officers cannot be everywhere everytime 24/7 and be there immediately, nor do we have the funding to do so, nor should Metro expect to have public support to become a police state. The only action that can be taken by law enforcement against fare evasion in the current situation is a reactive one which is too late as the process has occurred after the fact. Fare evasion on Metro buses is not preventable unless drastic changes are made to the fare structure and collections scheme. Furthermore, it is not the “job” of taxpayers to report such illegal activities from our end, it’s the “job” of Metro to prevent this from happening. We don’t pay taxes to Metro just so they get the easy way out of expecting the public to report such incidents. Metro needs to get its act together to see what other cities around the world are doing to prevent this. Hint: look to measures done by bus transit agencies in Asia. Get in and tap-in from the back, get out and tap-out from the front. Charges occur by the distance upon alighting and if you don’t pay (tap-out) from the front of the bus in plain sight of the bus driver, the bus driver can then slam shut the door and keep the fare evader inside the bus until law enforcement arrives. They make TAP so confusing because Metro isn’t serious about TAP. They’d rather purposely keep it the way it is because it keeps the phone reps busy. That way, Metro has the excuse to staff call center agents as a “make work program” courtesy of our tax dollars instead of making the simplest of tasks like buying just the TAP card by itself impossible to do online. This is higher priority for Metro than making things more efficient through labor cost savings that can be done by the single cost of fixing the taptogo.net website to let people do the simplest tasks online by themselves. I have my personal gripe with TAP cards. I have $50 topped up in my TAP and my card is expiring soon. Is Metro going to send me a new TAP card? Do I lose out on the $50 I have left on my card? Can I transfer the funds online? The taptogo.net website makes no mention on what to do upon expiry of the card. Lots of Metro riders have TAP cards and if these cards are set to expire (which is a bunch of crock IMO), shouldn’t someone with brains expect that “what to do when TAP cards expire” would be a common question worthy to be on a FAQ (that’s why it’s the abbreviation of FREQUENTLY ASKED QUESTIONS)? I ended up calling TAP customer service, waiting for thirty minutes listening to bad elevator music. All the while getting irritated at the automated voice saying “you can do most things online and read about FAQs at taptogo.net (yeah right! ).” I finally got connected to speak with a representative, for a less than a three minute conversation that I needed to buy a new card so I can transfer the funds to the new card. When I complained that why I should buy a new TAP card they said “that’s how it is.” Can’t I return the old card and can you just send me a new card? “No.” What a waste of my time. I then ended up with the same run around as Southland Transit Rider. Couldn’t find anyone that would sell me just a TAP card; they all wanted me to buy a pass at the same time. Can’t even purchase this online. After going around several supermarkets, I finally found a Ralphs that would sell me the TAP card by itself. Now I had to call TAP again, be put on hold for another thirty minutes, to transfer my funds to the new card. Total waste of time and ridiculous in this day and age. Please do let your favorite Metro board member know about these experiences! Figures how poorly TAP is implemented by Metro. I’ve visited many cities around the world and Metro is the only one that considers contactless transit cards to be a purchasable fee instead of a refundable deposit. By returning old cards and getting your deposit fee back or exchanged for a new card, it helps offset the fee of purchasing new cards from the supplier. Old expired cards are then reprogrammed and recycled back into the system. Here, it’s a fee where old expired TAP cards are just meant to be thrown away, all the while Metro wasting tax dollars in buying new TAP cards from Cubic when they could just implement a recycling program. Saving the environment, yeah right. I am curious to know why some people flash an id badge when they get on and don’t have to pay. Often it is international people from Asia. How did they get this special privilege? My experience with customer service was just plain ugly. When the TAP system was just being rolled out, the local transit lines would cut you a pass if the TAP transaction failed. On Metro, all I got was a shoulder shrug and advice to tell the LASD fare inspector that “the card didn’t work”. On two other occasions, I got the same answer. What’s sad though, when I contacted customer service, the clearly irritated person I spoke to told me the THE SAME THING. She told me since I couldn’t prove I spent the money, I was not entitled to any recourse and hung up on me. Since then, I have not used TAP at all. When customer service’s best answer is to lie to law enforcement, that’s trouble. And that’s not burnout.